I am not much of a cook. The best I can do in the kitchen is to make tea (for myself), boil an egg and fry one. 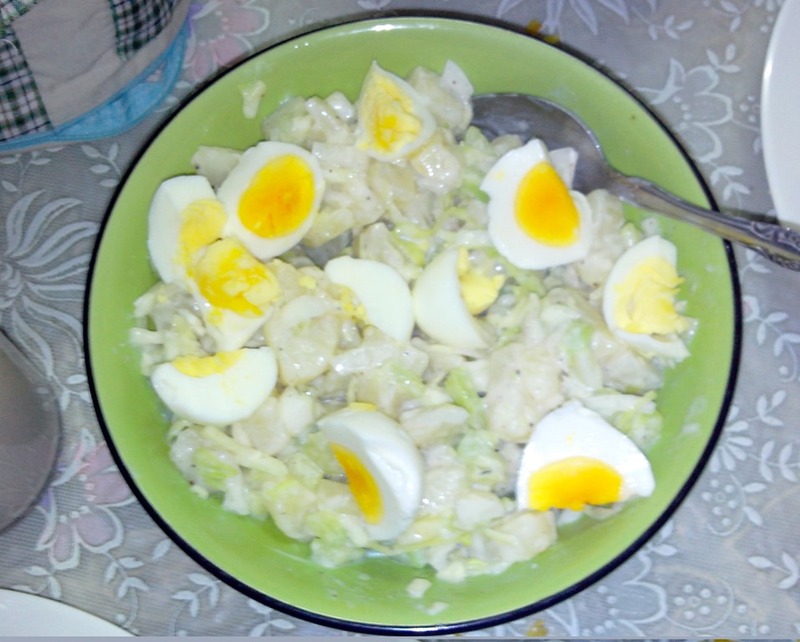 But when a friend coaxed me in to making potato salad I had to give in. So on the very first try I made a pretty tasty potato salad. I am sharing the recipe and procedure. Boil the potatoes till cooked. Let them cool, peel them and cut them in to pieces of about 1” x 1” or more. Now, place them in a bowl. In another bowl mix the mayonnaise, vinegar, sugar, mustard, salt, pepper, garlic powder and onions. You can also add a lemon or two for the taste. Mix them well. Pour this mix over the potatoes and toss them well till the potatoes are coated with the sauce. Put in the refrigerator for a hour at least. Mix once again before serving. Tastes best when chilled. You can also add other veggies like olives, carrots or even pickles. If it looks or feels a little dry add more mayonnaise. This recipe serves 2 -3, you can double the quantities if a bigger serving is required. Now go and impress your wife, husband, gf or bf. Previous“No Music”, says the sign!